Firstly, if one has the shelter of Sri Guru, one is indeed very, very fortunate and truly blessed by Bhagavan Sri Krishna. Unfortunately, however, right now on this planet billions of people either have no spiritual teacher or don’t care to have one. Sometimes it happens that one must leave the Guru to progress in spiritual life. The sastras and Gaudiya Vaisnava acaryas like Sri Jiva Goswamipada give specific guidelines regarding leaving the Guru. Presented here are all our posts on this subject which will greatly help anyone thinking about this. First, we cite various scriptures stating that one should never reject the diksa guru. But as everyone knows, there are always exceptions to any rule. Thus, the second half of the post cites various sastras to show the legitimate reasons for rejecting or leaving the Guru. Everyone must clearly understand that rejecting the diksa Guru is a very, very rare and serious action. It should never be done whimsically or fancifully just because you don’t like him or he’s not a “Big Devotee”. Rejecting a diksa Guru is a most delicate decision, only to be taken after deep sastric understanding of when and why a Guru should be rejected; discussing with sadhus, and if possible, speaking directly to one’s diksa Guru about the proposed rejection, and why you feel so. One should also chant lots of nama japa, and utter sincere prayers to Bhagavan Sri Krishna begging for guidance and strength. I repeat: “This is a most serious decision!” If such a decision i.e. to reject one’s Guru is taken prematurely or without sufficient knowledge or understanding of the Guru disciple relationship, the disciple may destroy his/her spiritual life! “Those who reject an authorized spiritual master who comes in disciplic succession are so condemned that even carnivorous animals [i.e. eagles, vultures, dogs, fox, wolves, etc.] will not eat their flesh. If Guru rejects a disciple, Sri Hari automatically rejects him too. Please deeply consider that if the Guru is well-behaved, following all religious principles; initiated by a proper Guru; and teaching the correct Gaudiya Vaisnava tattva siddhanta—THEN ONE SHOULD NEVER LEAVE THAT DIKSA GURU. Diksa Guru means the Guru who gives Gopal mantra or Kama gayatri to a disciple, which are the diksa mantras for all Gaudiya Vaisnavas. It may be that one’s diksa Guru APPEARS LIKE a very simple person, even though he is a true Krishna devotee, and a pure, serious and dedicated disciple of his Guru and personal lineage. Sri Guru may not be a big scholar, a charismatic personality, a great kirtana leader, speaker, or sastra nipuna—who knows all the minute details of each tattva or spiritual truth. But nevertheless, Guru is Guru and thus even the “simple” Guru is a real Guru. Therefore, all the sweet mercy and blessings of the samasti guru, Adi Guru Sri Krishna will flow through him FULLY AND COMPLETELY to the surrendered disciple who is loyal, faithful and sincerely dedicated to serving Sri Hari, Sri Guru and the beautiful Vaisnavas. “If, due to illusion about one’s Guru (gurum moha), a disciple considers that the Guru is an ordinary human being and thus chastises him, then such a disciple must take the body of a pig for one hundred births, shukara -bhavatyeva tesham- janma –shatesh-vapi). Now for the exceptions to the rule. Sometimes a disciple may have to reject the Guru, move on and take another Guru. Regarding this principle, we have counselled many sincere, pure-hearted Krishna bhaktas who feel unhappy, frustrated, dissatisfied, and spiritually suffocated in their Guru-Sisya relationships. They are confused and stuck; not knowing how to get out or improve their spiritual lives. Hopefully, the light of the sastric knowledge provided herein will help such surrendered souls find their true mentor—the sad guru—and again smile with the satisfaction produced from serving and loving a real spiritual teacher. Citing various Gaudiya Vaisnava scriptures, we will give eleven reasons for rejecting a Guru and taking another. Does not know what to do or not do, or gives improper guidance. Teachings are inconsistent, against the conclusions of Srimad Bhagavatam and Gaudiya Vaisnava scriptures. Has deviated from the path laid out in the bhakti-sastras (utpatha-pratipannasya), or preaches bogus ideas or apasiddhanta i.e. 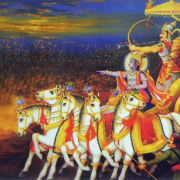 against the teachings of the six Gosvamis. Commenting on Bhakti Sandarbha (238), Pandit Sri Ananta Das Babaji Maharaja says, “If due to envy, a Guru forbids his disciple to associate with or serve an advanced devotee, the disciple should humbly bow and ask the Guru to retract that prohibition. “But if the Guru still forbids him, the disciple should just take shelter of Krishna and continue serving his Guru from a distance without abandoning him or behaving inimically toward him. “If some instruction of Sri Guru is inconsistent with sastra, the disciple should leave his Guru’s association [and take association of a sastric Guru], and serve his diksa Guru only from a distance. This most amazing point is discussed in Bhakti Sandarbha (anu. 207.1-4). Here the implied meaning is that upon taking a new diksa, then the prior diksa and relationship with a particular Guru are automatically cancelled. Because one is following the orders of sastra, one will not incur any aparadha, offense or negative reaction. The key word Sri Jiva uses here is aparitosena which means “dissatisfied or displeased with” one’s Guru. However, one must understand that rejecting a Guru is a serious matter. It should only be done after deep deliberation and personal realization, discussion with learned devotees, and meeting with one’s Guru if possible. Here Sri Jiva Goswami gives what seems like a simple, innocent reason for leaving one’s Guru; just plain dissatisfaction. For many different reasons, excluding the serious one’s mentioned above, a disciple may just not feel happy about one’s Guru, spiritual progress, future prospects, and life in general in relation with a particular Guru. Here is additional scriptural evidence for renouncing the Guru. Is unqualified due to poor sastric knowledge, and thus incapable of answering a disciple’s questions on sastra which leaves the disciple doubtful and unsatisfied. 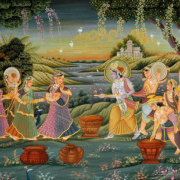 Is ignorant about the position of Krishna and has misconceptions about the truth. 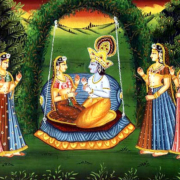 Does not accept Krishna’s pastimes, imitates Krishna or calls himself God. Opposes Vaiṣṇava philosophy and practice. Was prematurely accepted without careful examination. And as a result, the disciple sees that all his sadhana efforts are not producing the desired result. According to sastra, a disciple may reject a Guru who meets the above criterion without seeking his permission or agreement. Or the Guru and disciple may also part company by mutual consent and thus dissolve their relationship. A genuine Guru always desires the best for his disciple, and thus he will not block or prevent the disciple’s spiritual progress. But rather Sri Guru will compassionately bless the disciple in his/her forward march to the lotus feet of Radha Govinda Yugala. Conclusion: The Vedas describe that for various good reasons, including personal dissatisfaction, disciples have been rejecting their Gurus for millions of years! 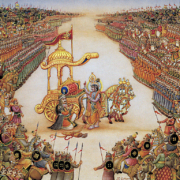 The Puranas, Mahabharata, Srimad Bhagavatam, Sandarbhas and Gaudiya Vaisnava acharyas discuss the unfortunate condition wherein a disciple must abandon, leave or reject a Guru. 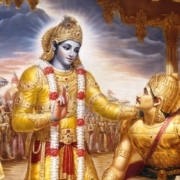 The Bhagavatam Eight Canto describes how Bali Maharaja rejected his Guru, Shukracarya, because Guruji preached against Sri Vishnu in the form of Vamanadeva. Thus rejecting the Guru is not a new practice. Sometimes it must be done in order to save one’s spiritual life. Again, I repeat this is a grave matter not to be taken lightly. Deep thought, sastric study, counsel of the wise, personal realization, and intense prayers to Sri Krishna will give the guidance and direction a sincere devotee needs to carry on in progressive, happy, and successful Krishna consciousness. Sad Guru ki jai! Happy, fulfilled and enlivened disciples ki jai! Guru bhakti ki jai! Sastra praman ki jai! Jaya Jaya Sri Radhe!